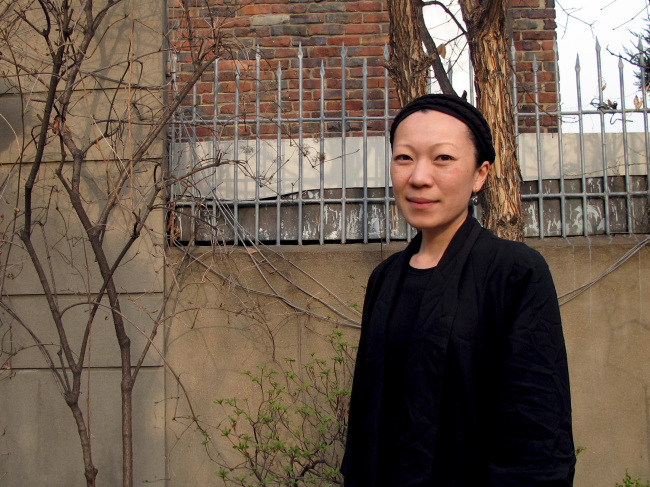 Jane Jin Kaisen, a visual artist who was adopted from Korea to Denmark, bases her art on questions around memory, history and migration. It is within this framework that she tackled one of the biggest massacres in modern Korean history ― the Jeju uprising on April 3, 1948. Kaisen’s film, “Reiterations of Dissent,” opens with Hyun Ki-young recounting his memories of the event. He was just 7 years old when it started. He remembers seeing crows dancing in the wind, when one dropped something from the sky ― someone’s scalp. He tells of being able to see the hairs sticking up and seeing crows feeding on corpses. His graphic memories are just a small part of what went on during the uprising, in which troops killed thousands of people after islanders fought back against a violent suppression of a demonstration. Kaisen was recently in Korea for a film screening at KoRoot, an adoptee guesthouse, as part of Adoptee Solidarity Korea’s Monthly Forum, which covers topics related to adoption and hosts speakers who seek to instigate social change in Korea. Kaisen says the film was influenced by her insider-outsider perspective of Korea, which compelled her to look into a different side of the country’s history. “As a Korean adoptee, I did not grow up knowing Korean history, and perhaps this is one of the reasons why I have been so compelled to engage in silenced, tabooed or suppressed aspects of history through my art,” she says. However, Kaisen purposely avoids showing interviewees on-screen in all but one part of the film. Instead, their voices are laid over images of Jeju’s stark landscapes. Kaisen says she did this to challenge viewers about the island’s better-known status as a holiday destination. “I was interested in having the viewer look underneath these immediate images of the island and point to how once you start to uncover some of the atrocities that happened on the island, you see the landscapes in a very different way,” she says. This has prevented full clarification about what happened, Kaisen argues, even though former president Roh Moo-hyun officially apologized for the incident in 2003 during his presidency. “It didn’t just end with that apology. Some victims’ families are still not fully recognized or to receive legal status as a victim’s family,” Kaisen says. Ultimately, Kaisen hopes her film shows the multilayered aspects of the incident and how sometimes asking a question is not always about finding the answer. “Perhaps viewers of my film will leave with a feeling that Jeju 4.3 is not necessarily something that you can (uncover) with one simple answer, but more that the viewers are taken on a journey of slowly uncovering this complexity,” Kaisen says.